Daffodil Design - Calgary Design and Lifestyle Blog: kind over matter free printables. kind over matter free printables. i stumbled upon kind over matter in my surfing adventures. Focusing heavily on the handmade community, kind over matter's blog is dedicated to kind acts, inspirational art & kind projects. 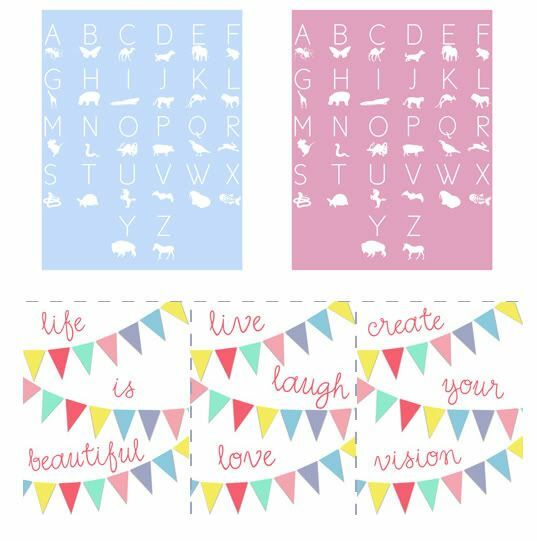 they have a plethora of adorable printables including these modern abc art prints & darling bunting art!